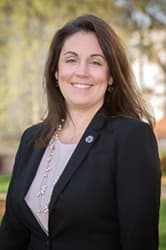 UNC Charlotte alumna Tracy Dodson recently was named assistant city manager for economic development by City Manager Marcus Jones. Dodson will leave her position as a vice president in the Charlotte-based real estate and development firm Lincoln Harris and begin the city post on May 7. Dodson served as the director of economic development for Charlotte Center City Partners and for the city of Charlotte and was the first woman to lead the Charlotte chapter of the Urban Land Institute. In 2015, Gov. Pat McCrory appointed Dodson to the North Carolina Board of Transportation for a four-year term. Dodson completed bachelor's degrees in architecture and psychology from UNC Charlotte and a master's in real estate and urban development from Harvard University.